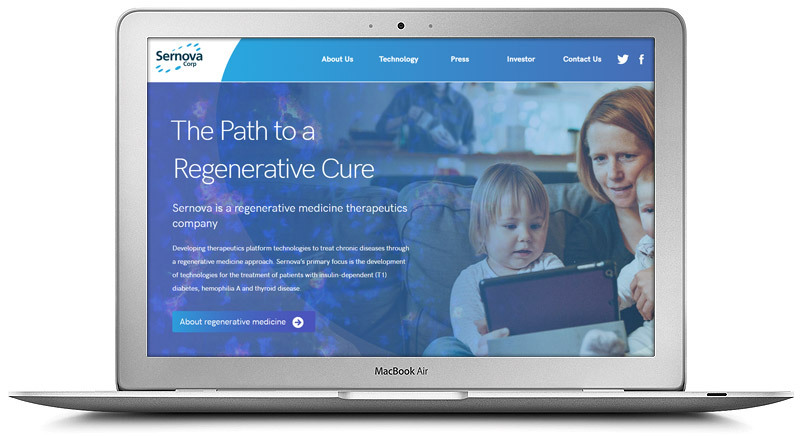 Sernova is a Canadian bio-pharma company that has a compelling story to tell. While scientific evidence and data drives the science behind their product, we wanted to make the sure the website reflects a feeling of a cutting edge technology. Take a look at Sernova.com for some interesting visual effects and some high tech illustrations.